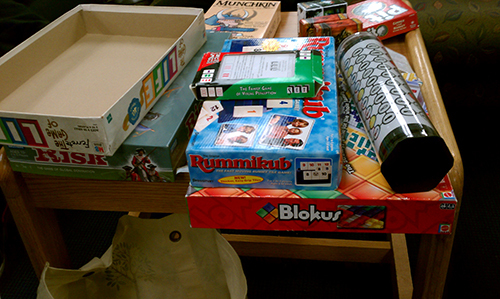 This working group explores critical concepts in games and play, beginning with a critical analysis of games and free play (from card and board, to legos and dolls, to computer and console). Key questions asked: what is fun? How do the rules get subverted? What are house rules and how do they function? How might we change the games we are playing to consider difference? The second half of the semester will be spent brainstorming, creating and test-playing a game of our own.